During the brutally cold winter of 2006-2007 in Santa Fe, twenty-one deaths of homeless men and women from exposure to the elements compelled the community to action. Concerned church leaders of the newly organized Interfaith Alliance of Santa Fe, other service providers, compassionate citizens and the City of Santa Fe met to discuss the dire situation. Former Mayor David Coss appointed a Blue Ribbon Task Force to develop a five-year plan to end homelessness in Santa Fe. But before more lives could be claimed the following winter, members of the Interfaith Alliance and others organized shelter options with funds from the city. 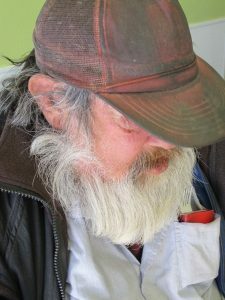 From November through April 2008, homeless men were sheltered at the Salvation Army while women and children found shelter in various church and synagogue halls and religious centers. It was a temporary solution, but it saved lives. In 2008 the Task Force and the community leadership approved the concepts in the five-year plan, which had as its goal a one-stop resource center for those experiencing homelessness, with the emphasis on services resulting in obtaining permanent housing. The community leadership also believed that the shelter needed to be as low-barrier as possible so that chronic and vulnerable homeless people could easily enter. From this active core group, the Interfaith Community Shelter (ICS) was established. Incorporated in 2009, ICS could receive donations under the fiscal sponsorship of the Faith at Work Ministry and was granted its own tax-exempt 501(c)3 status by the IRS in 2010. For the winter of 2008-2009, the City provided funds to rent a building for an emergency shelter on St. Michael’s Drive. ICS and its collaborators – (St. Elizabeth Shelter, Healthcare for the Homeless, Life Link, Santa Fe Community Services, and Youth Shelters) provided services at their locations during the day and shelter at night at the St. Michael’s Drive location. During the winter of 2009-2010, the City funded the rental of the former Pete’s Pets, a pet store on Cerrillos Road, but ICS needed a permanent home. In 2010 these groups, who had united and were working under a memorandum of understanding, persuaded the City of Santa Fe to purchase the pet store and lease it to ICS for minimal rent. 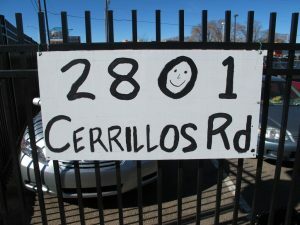 ICS offered emergency overnight shelter and daytime services at the Cerrillos Road location during the winter of 2010 – 2011. Renovation of the former pet store was planned and would be paid for with donated funds as well as money from the City of Santa Fe and the State of New Mexico. During the summer of 2011, under the guidance and design of architect and board member, Vahid Mojarrab, contractors, volunteers, and former guests completely renovated the building. Today, the facility at Interfaith Community Shelter includes separate men’s and women’s dorms; a separate sleeping room for a family, if needed; a commercial kitchen; dining and reception areas; showers and restrooms; space for the Community Closet; a storage area for guests’ belongings; kennel spaces; offices for staff and collaborators; and an outdoor courtyard with a warming station. 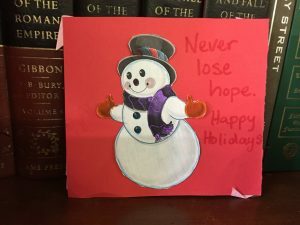 Interfaith Community Shelter provides overnight shelter for anyone in need during the winter months and for women and children during the summer. Year round, nearly twenty different types of services are provided on site by ICS and collaborators including: Veterans Administration; Healthcare for the Homeless; Life Link; Santa Fe Community Services; St. Elizabeth Shelter and Supportive Housing Programs; Food Depot; Goodwill Industries; Southwest CARE Center; Youth Shelters and Family Services; Joe Rosetta, Traditional Support Worker of Santo Domingo Pueblo; Homeless Legal Clinic, State Bar of New Mexico; Homeless Court, Municipal Court of the City of Santa Fe; Office of Congressman Ben Lujan, Constituent Liaison; Street Homeless Animal Project; and Feed the Hungry.